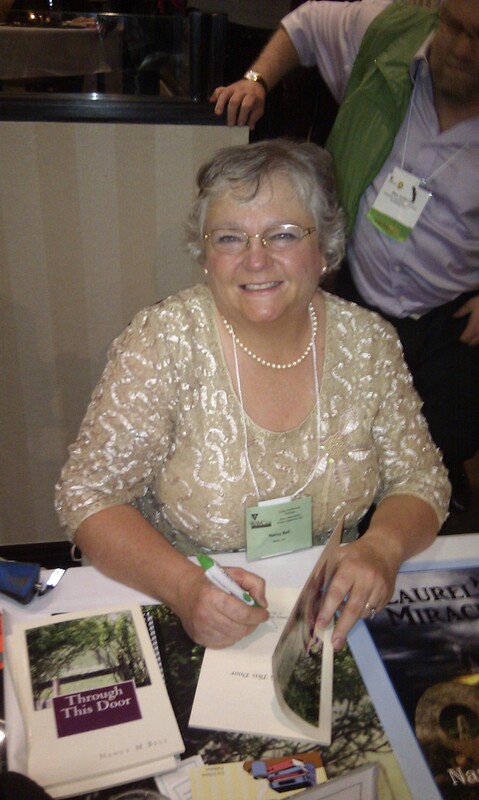 Donna Jean McDunn is a writer of fiction for young adults, women’s romance and short stories for children and women. At the tender age of twelve, she dreamed of writing, but she had no way of knowing the many journeys she would take before reaching her dream. She married at nineteen, had three daughters by the age of twenty-seven and graduated from college at forty-two. The first of eight grandchildren was born by age forty-five. She earned a 3rd degree black belt in Songahm Taekwondo at age fifty-eight. And so today she writes and her dream is no longer just a dream. She has had three children’s stories and one adult story published. She was also one of nine winners in The Mystery Times Nine 2012 Young Adult Short Story Mystery Contest sponsored by Buddhapuss Ink Publishing. Emily must accept her gift of clairvoyance and remember her past, when a psychopath returns to kill again. Emily must help a murdered child find closure and stop a vengeful ghost from possessing and destroying innocent lives. 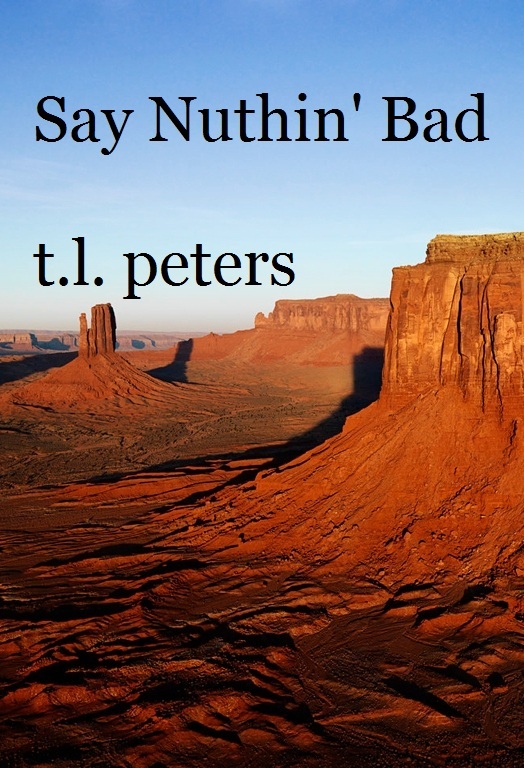 My guest today is the very talented and prolific author Thomas L. Peters. 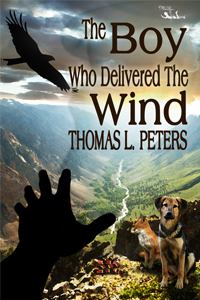 Tom and I have worked together, at MuseItUp Publishing, on Tom’s most charming story The Boy Who Delivered the Wind. I hope to get the chance to work with him again soon. In the meantime, I have been reading some of his other books and thoroughly enjoyed them. Here is a short biography of our guest. After graduating with honors from DuquesneUniversity in Pittsburgh and the University of MichiganLaw, Tom Peters made partner at a large law firm where he retired a few years earlier than most. Tom’s favorite activity is giving his dog long walks in the woods. His second favorite is playing the violin, much like the character in the Dickens’ story who loved to play scales alone on his cello. Tom’s musical repertoire is a bit more extensive than simply scales and leans toward the Baroque, but he nevertheless views his music, along with his writing, as mostly a solo pastime. His favorite part of writing is when the book is finally done. N&R: Hi Tom. It’s so nice to have you drop in to speak with us. Tom: Thank you very much for having me. To begin I must say that you are one of the best editors working in the publishing field today, and I very much enjoyed our collaboration on The Boy Who Delivered The Wind. N&R: Well, thank you very much. I certainly appreciate the compliment. Feel free to tell that to my boss. LOL. First, I have to tell you, I thoroughly enjoy reading your stories. I love your sense of humour, the tongue-in-cheek dialogue and activities of some of your characters, and their voices. Your talent as a writer is multi-dimensional and covers a lot of territory, from unique characters, simple effective story telling, to adult action thrillers and romance. I have to ask, where does all this come from? Tom: I know one thing for sure. I don’t deserve such words of high praise. Where what little talent I have comes from, is a mystery. N&R: I see you are a classically trained violinist. I am also a classically trained musician—my instrument being the piano—and I am aware of what it has given me. What about you? How has the world of music affected you and your writing? Tom: It provides me with some sense of the grand dimensions and the wonderful possibilities of art in general and also instructs me on the necessity of pouring one’s passions into the work, be it music or writing. N&R: Have there been any authors who have influenced you? And if so, who, and in what ways? Tom: I like Flannery O’Connor for her sheer brilliance and Steinbeck for his mastery of dialogue. Otherwise, I try to keep the influences of other writers to a minimum, I guess out of fear that I might lose my own voice. N&R: Yes, I certainly understand what you mean. You also have a background in law. What kind of law did you practise? How helpful has that study been to your work? Tom: I practiced corporate law. Legal and creative writing are so different that I really don’t believe there is much interchange. N&R: Do you find writing gives you the same degree of satisfaction as legal work did? Tom: An honest job done as well as one is able, always seems to provide some measure of satisfaction. N&R: I love Jake Stone’s legal world. It seems pretty crazy sometimes. Should we consider some of the legal events of Jake’s characters as ‘enlightening’ or as mostly ‘fiction’? N&R: Well, that’s comforting to know. Have you written other books which are similar in style and/or character to An Imperfect Miracle or The Boy Who Delivered the Wind? 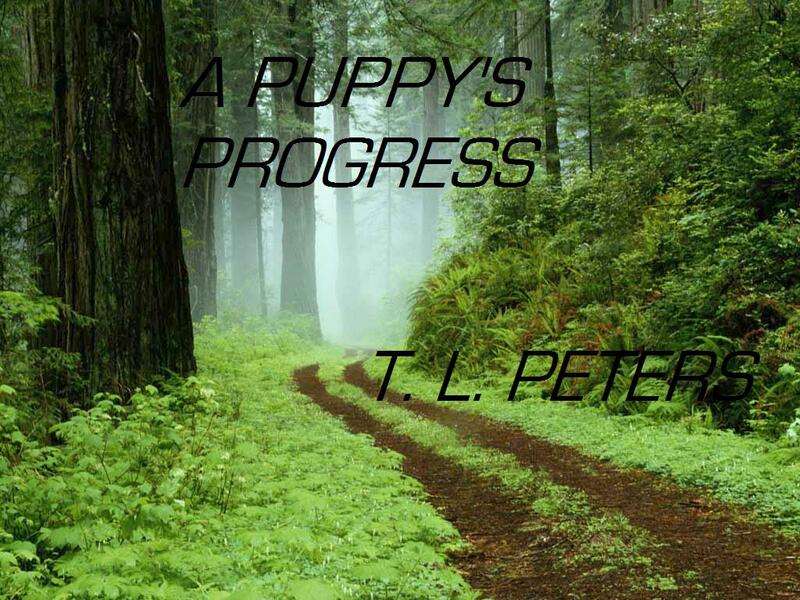 Tom: Gracie and the Preacher and A Puppy’s Progress. Both stories are highly recommended for dog lovers. 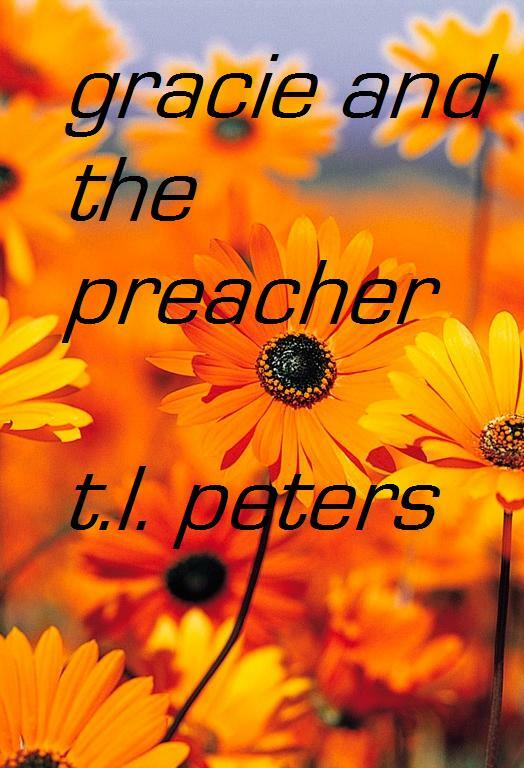 N&R: Here’s a short description of Gracie and the Preacher. 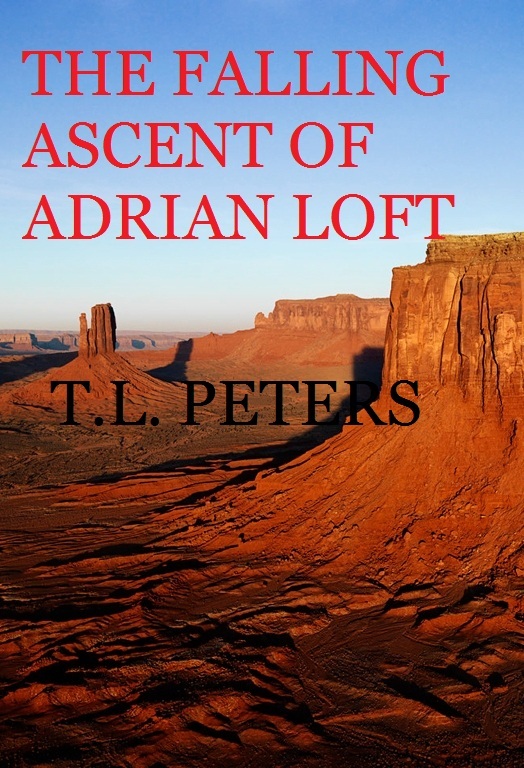 Brent Everett and his feisty dog Gracie hook up with a good-natured street preacher who, when he isn’t dodging the law, makes his living by holding fire and brimstone revivals across the country. Soon, however, Brent discovers that there are limits to what even the preacher can get away with. And a short description of A Puppy’s Progress. A mistake from birth, half Lab, half Rottweiler, weaned in a puppy mill and dubbed “Star” for the white furry blotch on her chest, the valiant pooch unwittingly becomes the “bag man” in a diamond heist when the thief, hoping to hide the stones from his greedy wife, implants them under the puppy’s skin. After Star is mistakenly sold, the bumbling villains set off to retrieve the diamonds, but are bested at every turn by our feisty canine hero. N&R: When comparing your Jake Stone characters to the more spiritual or innocent ones, as in Miracle or The Boy, do you have a preference? Tom: No. I think they all come from the same place. N&R: Are there any challenges to overcome in creating either of these characters? Tom: I think that one simply has to let the writing flow as honestly as one can. N&R: I love the invisible ghost dog ‘Chewy” in An Imperfect Miracle. He certainly touched my heart. Please tell us more about the dogs, both past and present, in your life? Tom: Chewy is largely based on my dog, Star, who is also the model for the dog in A Puppy’s Progress . 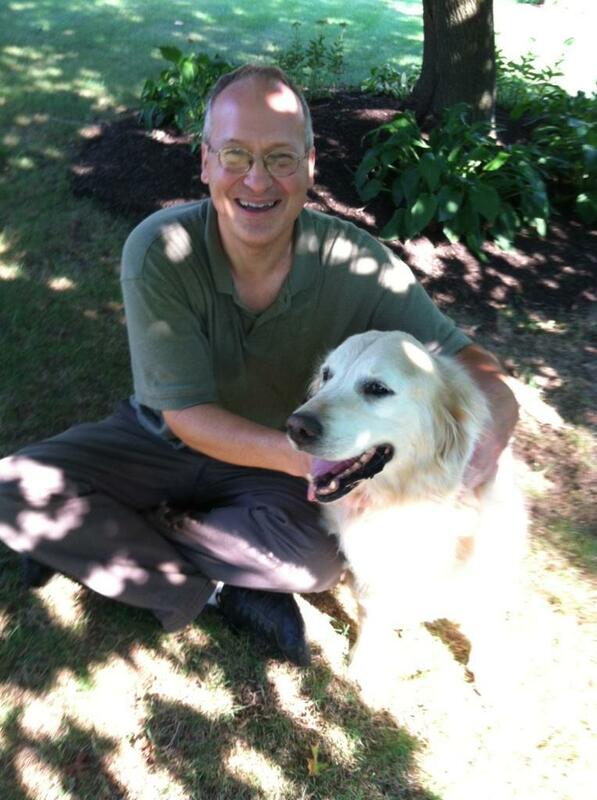 The Dog in Gracie and the Preacher is largely based on my Golden Retriever friend, Buffy. N&R: Of your prolific list of writings, can you share with us which ones you like the most? Can you tell us a little about some of your work and perhaps give us an excerpt from each? Tom: I’ve listed below a selection of my works of which I am especially fond. 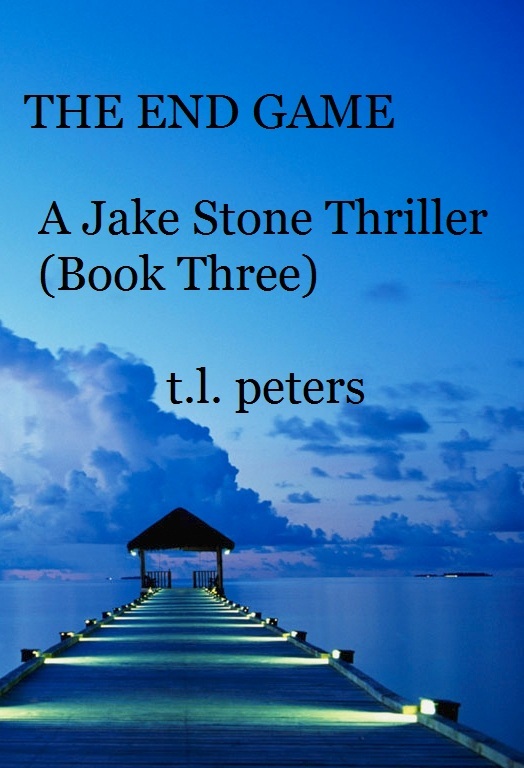 Here is an excerpt from Book Three of the Jake Stone Thrillers, The End Game. Here is the opening paragraph of Gracie and the Preacher. This is the opening paragraph of a short novel, Stock Boy. 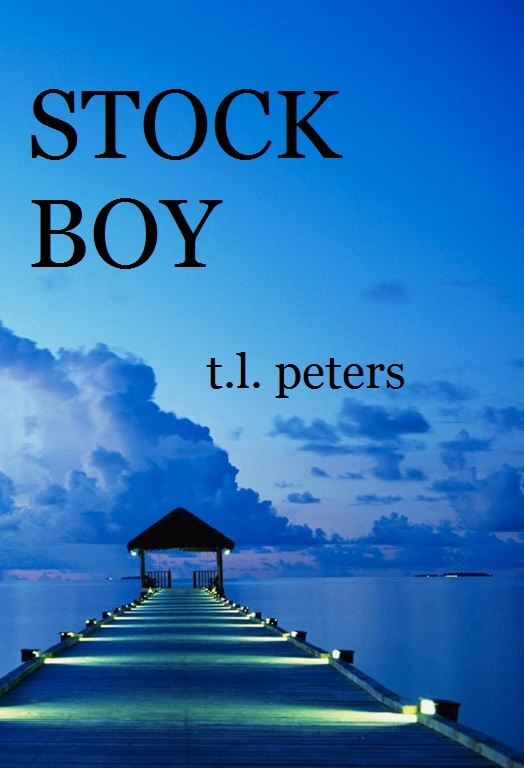 Clarence Smith, a lonely stock boy toiling away in an upscale department store, entertains visions of a grand life when he tries to hook up with a beautiful and aloof store executive. But when he begins to shoplift expensive merchandise to sell to a shadowy fence in order to raise enough money to impress her, his life, as well as hers, take an unexpected turn when he discovers that she has been shoplifting too, but for a wholly different reason. Little Sammy needs ten thousand dollars, and fast, if he is to save his home from foreclosure and his family from catastrophe. Russ befriends the lonely boy, and soon the two embark on a series of adventures that reveal the sorry underbelly of humanity and the glorious mysteries of nature. “He must have been glad to see me because he grabbed my shoulders and gave me a big hug and then stood back to look me over. He said I was the prettiest sight he’d ever seen and he’d never met anyone as honest before. I was about to tell him that I didn’t much like being called pretty, and that I wasn’t all that honest either, but he broke in before I had the chance. Just then a whole pack of little runts flew past and spilled over the porch and out into the yard. They whipped up such a wind going by, that the shirt I was wearing puffed out a bit along my shoulders. Sammy shrugged and then lowered his chin down to where it was almost touching his skinny little chest. “How do you all fit into this little house?” I asked him, squinting into the haze. Sammy shrugged again, but this time his face seemed to perk up a bit. Sammy gave me another hug, but all that yelling and screaming, barking and whimpering and yelping was starting to freak me out; not to mention all the dust flying around which was making me sniff a little. I pushed Sammy away and was about to make for the highway as fast as I could, when I felt Sammy’s hand on my wrist holding me back. He had a pretty firm grip for such a little runt, strong enough anyway to delay my exit for the time being. Sammy whirled around and slapped his hand through the air fast enough to blow some of the dust away, to where I could see a whiskered-up old guy in blue overalls, sitting on a stool by himself in the middle of the floor, holding a torn umbrella over his head, like it was raining. Now if it had been storming outside, instead of being a nice sunny day, I wouldn’t have been surprised if a thick gush of water had found its way down past the roof and into the house, but that morning, it was dry as a bone—outside and in. Sammy pointed at the old guy’s feet, which looked more like gnarled up tree stumps, and he kind of chuckled a little. I guess when things get that sad, chuckling is about the best thing you can do to keep up your spirits. I would have asked him where his mom was, but I didn’t see the point. N&R: Thanks Tom. What a great selection of writing. I hope my readers will have a look at your work. I think there’s something for everyone in your portfolio. Well, we’ve read your bio and discussed the lawyer, musician and pet parts of your life, but when I read the fight scenes in the Jake Stone series, I am amazed at the descriptions of the action. Do you have a background in boxing, wrestling or martial arts? What else do we not know about you that we might be seeing glimpses of in those pages? Tom: I did take a rather aggressive kick boxing class a few years back, but that’s about it. N&R: What are you working on right now? Tom: Absolutely nothing. I have just started reading, however, Graham Greene’s classic, The Power and the Glory. N&R: That is one of my favourites. Now, if you could help some budding authors, in regard to the writing or publishing world, what would you like to tell them? Tom: Don’t be afraid to self-publish. It’s a lot more reputable these days with the advent of electronic books. N&R: Well, thank you so much for coming by and visiting with us today. We have thoroughly enjoyed learning more about your creative world and your life, and we hope you can come and visit again in the near future. I look forward to eventually reading all of your books; I know I will enjoy them. That’s a given. Thanks again. N&R: Thanks Tom. I certainly appreciate your support. Tom’s blog can be found at http://tlpeters.blogspot.com. A full listing of his books and where they are sold is also located on that site. The Boy Who Delivered the Wind is available from MuseItUp Publishing at http://tinyurl.com/8bohxqv as an ebook and should be out next year in hardcover. Today we are very honoured to have as our guest, author, poet and editor, Nancy Marie Bell. Nancy and I have been friends for over thirty years. She was instrumental in getting me on the staff of MuseItUp Publishing and has been very encouraging of my writing for a long time. Taking a look at her biography, we see that Nancy lives near Balzac, Alberta with her husband and various critters—I can personally attest to seeing a number of horses, a cow, cats and dogs— is a member of The Writers Union of Canada and the Writers Guild of Alberta. She enjoys writing poetry, fiction and non-fiction. You can visit her webpage at http://www.nancymbell.ca , find her on Facebook at http://facebook.com/NancyMBell or follow her on twitter: @emilypikkasso . N&R: Hi Nancy, welcome to Natter and Review! Nancy: Hi Lynne, thanks for having me. N&R: We have known each other for a long time and it has been wonderful watching your career as a writer and editor blossom. What factors, do you think, have helped you along the way to achieve these goals? Nancy: I can’t recall a time when I wasn’t writing. I have always had that urge to capture a moment and paint a picture with words to share with others. By far the biggest factor in my life is the horses and other animals who have blessed me over the years with their wisdom, their unconditional love and their acceptance of who I am. They taught me it isn’t what I look like or achieve in life that is important, it is who I am in my heart and how I treat others around me that counts. Animals look with the eyes of the heart and don’t expect you to be anything other than what you are. The second biggest factor is my husband of 35 years who allows me to be crazy and stay up all night writing. His quiet support means a lot even though he never reads anything I write except under duress. <laughs> Another huge factor was the accident I had with my horse in 2005. It effectively ended my corporate career and forced me to stop and fill my time with writing. The creation of Laurel’s Miracle saved my sanity at a time when I was struggling with the realization that life as I knew it ended at 6:02 pm MTAugust 2, 2005. It gave me a reason to get up and kept my brain busy with the huge amount of research required during the writing. N&R: In what ways do you think being an editor has helped your own writing craft? Nancy: I learn so much from my authors: different ways of looking at things and expressing those things on paper. I write much tighter now than I used to. I love interacting with the authors I work with. It is certainly a team effort to get a book from rough manuscript to the polished final product. N&R: You are a Senior Acquisition Editor for MuseItUp Publishing, and I understand you will be at the Surrey International Writer’s Conference from October 19th to the 21st of this year, taking submissions. What kinds of things will you be looking for in a manuscript at that time? Nancy: I will be at SIWC taking pitches on Friday October 19th and Sunday morning October 21st. MuseItUp Publishing is interested in most genres with the exception of poetry, non-fiction and picture books. The key ingredients are well crafted characters which engage the reader quickly, a plot with a good hook early in the story to keep the reader interested, and a good command of the English language. We are open to agented and non-agented authors, and are willing to consider those with limited publishing credits. The quality of the work is what will impress us. For more specific information on submission criteria, please visit our website. N&R: Do you have any quick tips to share with new writers that would help them with their own self-editing? Nancy: Read every word when you go over the manuscript; don’t skip over lines. Look for repeating words or phrases, or the same word beginning consecutive paragraphs. Know your subject. Do your research. Don’t make it up as you go. N&R: You have three books published right now with Muse. Can you give us a short overview of each? Have you ever wondered how you would handle it if your mom was terminally ill? What if you were sent to stay with people you didn’t even know in another country because your father was at the hospital all day and night? Laurel is faced with both of these realities, but what she really wants is a miracle. She wants her mom to be cured of cancer. 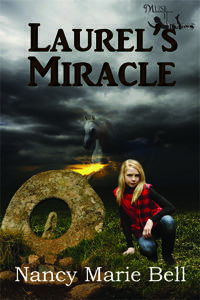 Join Laurel as she searches for her miracle amidst the magic of the Cornish countryside. She is aided by her new friends Coll, Gort, and Aisling and helped along in her quest by the creatures of legend and myth: Vear Du, the Selkie, Gwin Scawen, the Cornish Piskie, Belerion the fire salamander, Morgawr the flying sea serpent who does Vear Du a favour, and Cormoran, the last giant of Cornwall. They must battle the odds in the form of bullies and confusing clues. Will they emerge victorious? Will Laurel have the courage to solve the riddle and make her miracle a reality? Find the answers in the pages of Laurel’s Miracle. Legend says that land once stretched from Lands End in Cornwall as far as the Scillies Islands thirty miles out in the Atlantic. To this mythical land, Gort Treliving escapes to avoid the pain inflicted by his abusive uncle. He steps away from his corporeal body and walks into the mist of oblivion, seeking only to find peace. To Gort’s surprise, he finds he is one of King Arthur’s knights, Sir Gawain. He is also the partner of a wonderful grey war stallion who can telepathically speak to him. While he is caught up in a wild chase across the countryside to rescue King Arthur’s kidnapped queen and her lady, Gort as Gawain, tries to puzzle out the strange visions of another life that assail him at the most inopportune times. There is intrigue, mystery, sword play and a dash of romance. 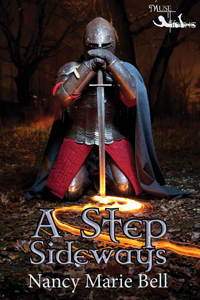 A Step Sideways is a rollicking romp of an adventure that borrows inspiration from the Arthurian legends with a decidedly quirky cast of supporting characters. After the last page the characters will linger in your mind and you’ll wonder what happened next. All Michelle wants for Christmas is peace of mind. The only thing bigger than the storm in her heart, is the blizzard raging across the Alberta prairie outside her window. Finding an injured stray dog is the last thing she needs. Add to the mix the handsome new vet who is taking over her beloved Doc’s practice and peace of mind is not in the picture. Cale Benjamin is too nice to be for real. Michelle is still smarting from being jilted by her high school sweetheart fiancé and not in the mood to trust any man, let alone one as drop dead gorgeous as Dr. Cale Benjamin DVM. The injured stray, Storm, keeps putting Michelle in Cale’s path whether she likes it or not. She is distressed to find that the handsome young vet is sliding past her carefully erected defenses and into her heart. A few well placed nudges from Doc’s match maker wife, Mary, help the young doctor’s cause, but will it be enough to make the lady rancher allow him into her life? The answer lies in the pages of Christmas Storm, find out for yourself. N&R: I loved Laurel’s Miracle for the story, the mesmerizing descriptions and the wonderful voyage into the mythology of the location. What are the messages that you feel are important to share from this story? Nancy:Laurel was a journey for me. I guess the main message is to never give up and to look within yourself for the strength and courage you need to face the obstacles in your life. Gort’s situation is a reminder that no matter how bad you think your life is, there is always someone out there battling bigger odds than you are. N&R: Do you have any tips on how to create inventive descriptions of people, places and events? Nancy: I’m not much help here, I’m afraid. I just write and the scene plays out for me, so I simply record what I see, feel, smell and hear as the tableau unfolds. Something to remember though, in most cases, less is more when it comes to description. Be concise and succinctly portray the scene without using lines and lines of ‘information dump’ to describe something. N&R: I felt A Step Sideways, the second in the Cornwall Adventure series, was much more of a grown-up book. I was blown away by your ability to move convincingly from the mind of a teenager to that of a grown man and back again. Not all writers can do that. Were there any challenges involved to achieve that goal? Nancy: As you know, A Step Sideways grew out of Laurel’s Miracle. Gort/Gawain gets all the credit I’m afraid. I just wrote down the story he gave me. My characters tend to take on a life of their own and as the author I trail along behind them recording their activities. <laughs> My favorite character in this story is Ailim, the war stallion. N&R: Christmas Storm is probably my favourite of all your books. How much of you is between the covers of that story? Nancy: A lot of me, I’m afraid. 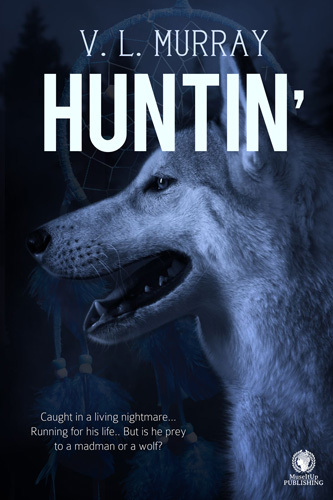 Storm was inspired by a dog I met while out feeding stray dogs on a reservation near Calgary. She didn’t make it through the winter and her eyes have haunted me ever since. My Storm has much better luck than the black momma dog with no name. Recently, I fostered a black dog with an injured leg, and her six puppies. 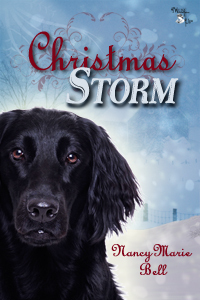 She looks so much like the dog on the cover of Christmas Storm, that we have called her Storm. She is rapidly gaining weight and soon her ribs will no long poke through her skin. I’m an accomplished horsewoman and have always had horses in my life. Living on a farm and having had my son raise pigs and cows to help pay for university, the incidents in Christmas Storm are taken—and embellished in some cases—from real life experiences. My oldest son is an equine surgeon and I picked his brain for all the vet related information in the book. I always seem to have some stray or injured animal at my door. N&R: What can we look forward to in the coming months from your very talented pen? Nancy: I am working on the story of Laurel’s grandmother; how a Cornish girl born and bred came to be living in southern Alberta. Readers will learn how she first meets Gwin Scawen and Vear Du. Daniel plays a key role in this part of the story as well. I am also entertaining ideas about a sequel to Christmas Storm. There is tons of fodder there for follow up books like finding out what happens with George and Stacey, not to mention Mary and Doc, and Rob and Kayla. I just have to make the time to get to it. N&R: If my readers wish to purchase your books, where can they obtain them and in what formats are they available? Nancy: While I am on Amazon, the best place to get my books is at the MuseItUp Publishing book store. I have a soft cover book of poetry, Through This Door, which is available by contacting me directly. Irish Fireside Tales is available through CreateSpace or myself. This is a collection of Irish legends—retold in my words—which I wrote as part of a course I took. N&R: Thank you so much for coming today and please keep us posted on your adventures and your writing. Nancy: Thank you so much for inviting me. I have enjoyed my visit immensely. I understand congratulations are in order for you as well. 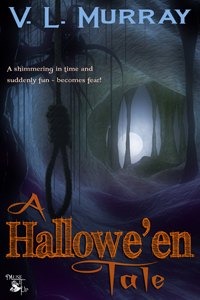 Your short story A Hallowe’en Tale is to be published by MuseItUp Publishing in the near future. I’m sure it will be the first of many successes for you. N&R: Thanks Nancy, I appreciate your kind words. And thank you again for stopping by and giving us some insight into your work as an author and editor, and into your life as a horsewoman and activist in the world of animal rescue. It’s been most enlightening. We wish you well in all your endeavors.